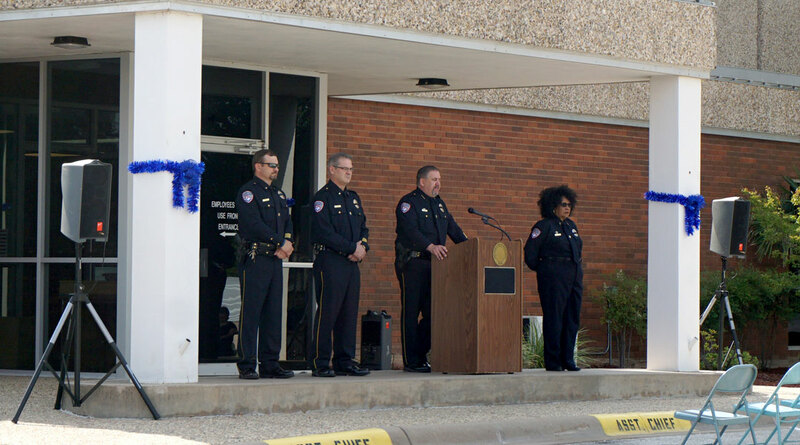 SAN ANGELO, TX — This week is the start of Police Appreciation Week and to kick it off the San Angelo Police Department held a flag raising ceremony at the police headquarters at 401 E. Beauregard Ave. 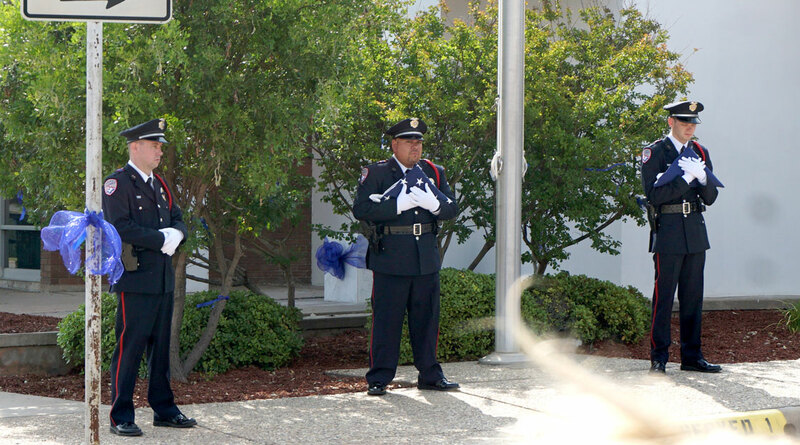 The United States flag and the Texas Flag were presented and placed at half-staff. The Pledge of Allegiance was recited together after the flags were raised. A prayer was said at the beginning of the ceremony and again at the end. 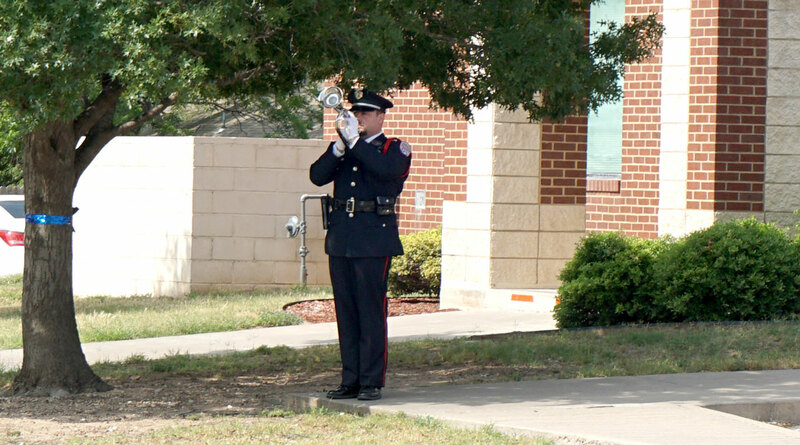 A beautiful playing of Taps was presented by Officer Kyle Green using an electric trumpet. 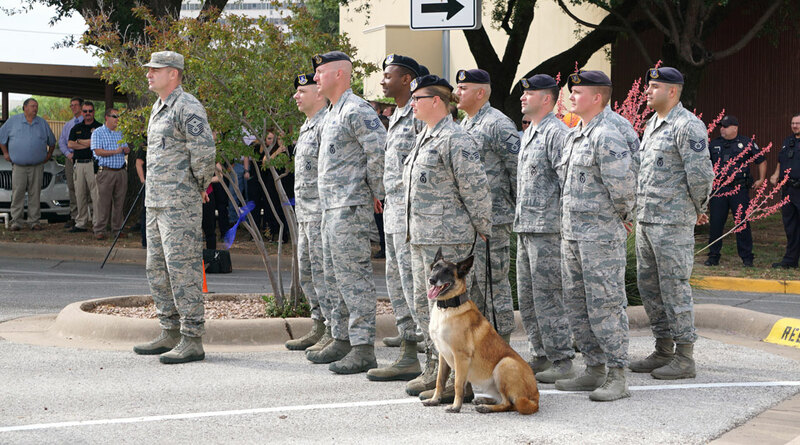 Taps is the song universally used to honor the men and women who have fallen for freedom and protecting others. It is the song played to honor those people, when words fail. 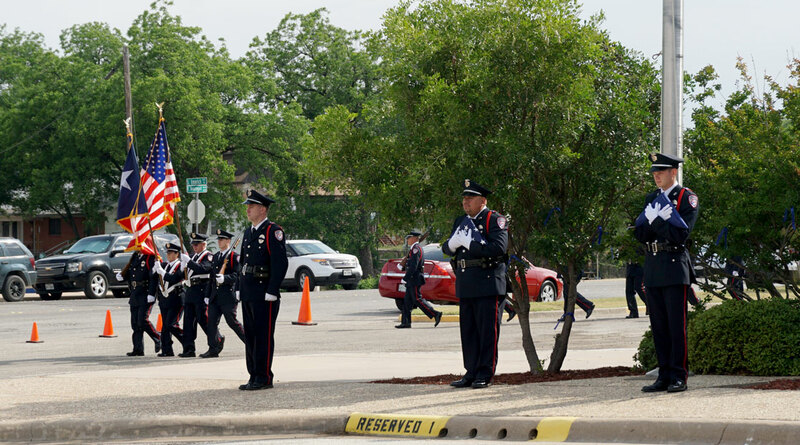 A 21 Gun Salute for the fallen officers and a playing of amazing grace by bagpipes concluded the ceremony. 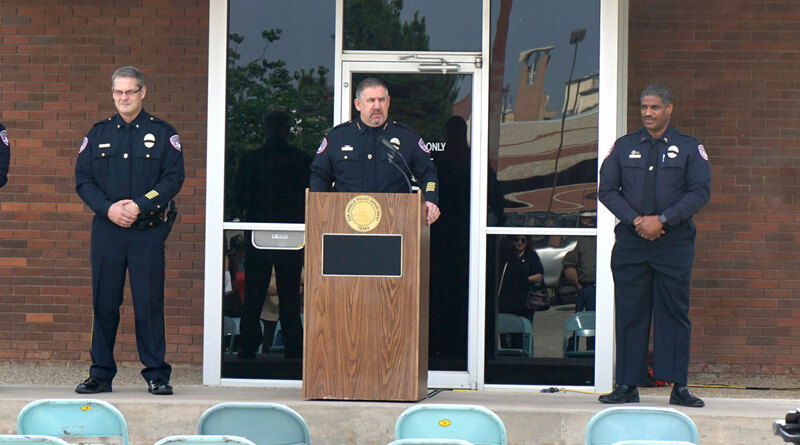 All law enforcement entities of San Angelo were present during the ceremony. 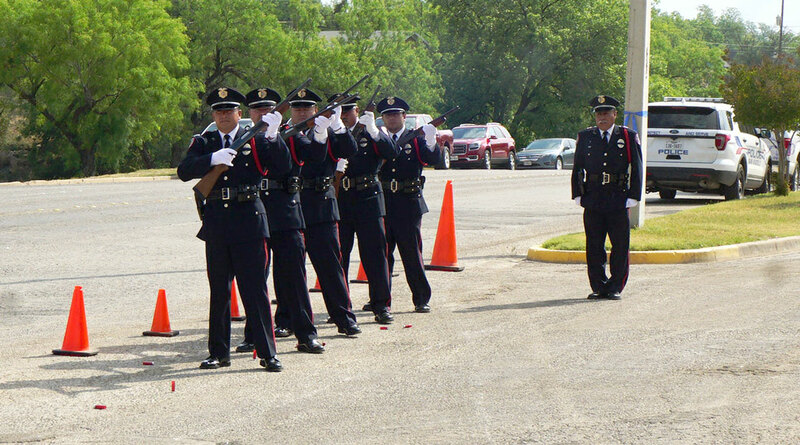 All risk their lives every day to protect and serve their communities. 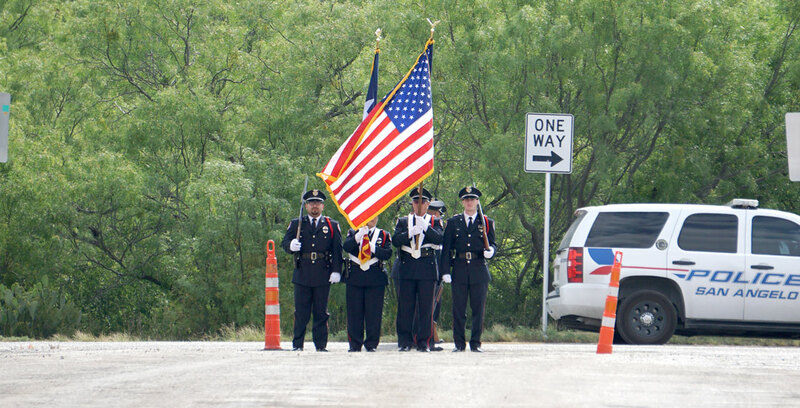 Don’t forget to say thank you, not only this week, but every day you see an officer.